We are proud to announce that NoLimitCoin Poker the world’s first No Rake online poker platform, powered by NoLimitCoin (NLC2) is now LIVE. 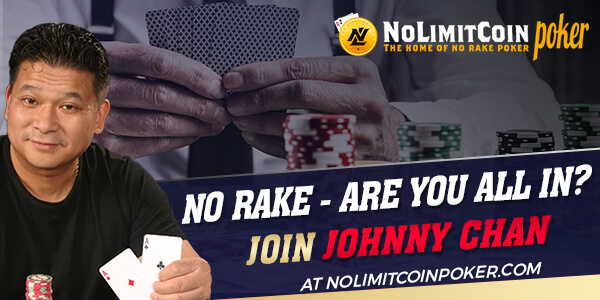 Together with our brand ambassador Johnny Chan we are really pushing for a massive improvement for the poker world with our no rake concept. Only made possible by the power of blockchain technology and our great poker partner. Users will be able to keep all their profits with our No Rake policy, which will never change. Our main goal is offering a premium experience for our users and creating demand for NoLimitCoin (NLC2). Our great partnership with an experienced and tested poker platform allows us to offer our poker players No Rake, which is an absolute game changer. The first year we will be totally free for a limited amount of players that register now, once this special offer runs out we will charge a very small monthly subscription fee of $1. 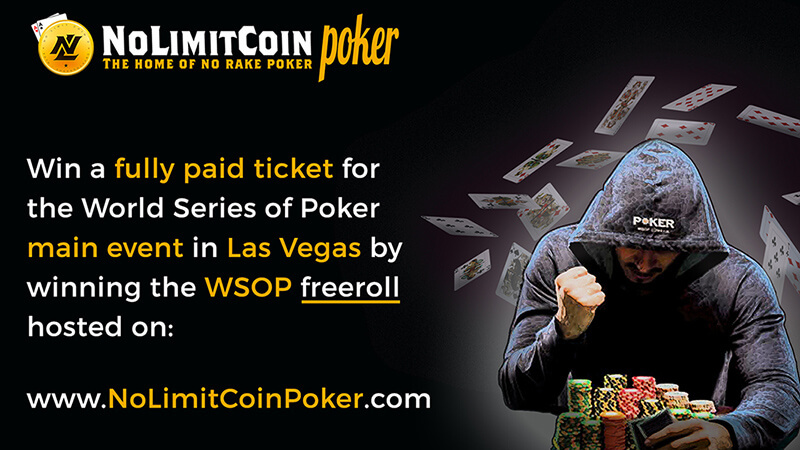 On June 30th at 12:00 PST, 19:00 UTC a freeroll tournament will be run on NoLimitCoin Poker where the winner will get a fully paid ticket to the WSOP main event ($10,000) plus flights and accommodation all paid for by NoLimitCoin. The winner will be part of the NoLimitCoin team and have dinner with Johnny Chan and the team beforehand. On top of that, the winner will get 1,000,000 NLC2 coins: if he reaches the final table at the WSOP main event!